Specially designed for body shops, garages or towing companies, small engine repair. 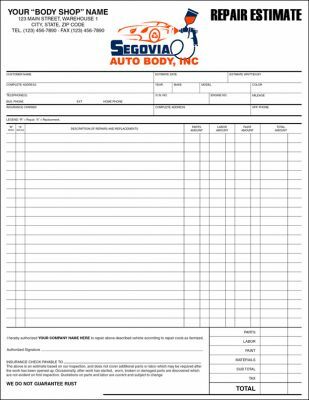 Our automotive business forms include service order forms, auto repair forms, auto parts order forms, body shop estimate forms and more. Vehicle estimate for auto paint, body shops, insurance agencies, car rental agencies and others needing to estimate costs of vehicle repairs. It helps calculate costs of parts, labor and total repair on damage vehicles. Interactive PDF form is self calculating. Itemized list contains parts for front, back, left and right side of vehicle. 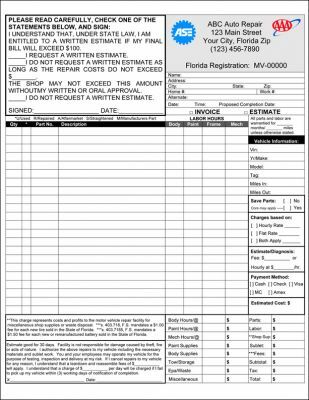 A body shop repair estimate form. Form contains area to record customer name and contact numbers, estimate date, year, make, model of car, VIN and other automobile details. 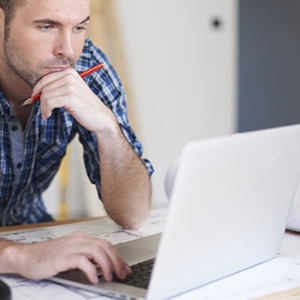 The form has several useful columns such as "replace" and "replacement" parts, description of repairs and replacement, parts amount, labor amount, paint amount and total amount. Standard industry terms and conditions at bottom of page and total summary of parts, labor, paint, materials, sub total, tax and grand total. 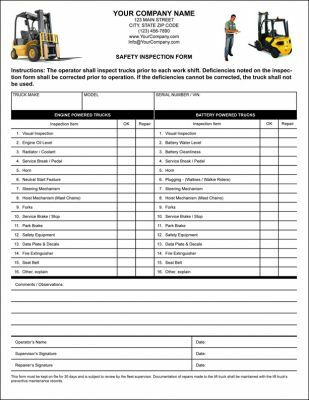 This lift truck or forklift pre-shift inspection report form records both, engine and battery powered trucks. It is used to regulate and minimize the number of accidents, injuries and deaths due to incidents involving Powered Industrial Trucks operated by your employees. It also helps follow guidelines and be compliant with OSHA Regulation: 29CFR – 1910.178 Powered Industrial Trucks. The form contains daily items check list which can be personalized to your particular needs, and boxes to indicate if inspection is ok, requires attention, or not applicable. Top of form contains space for truck make, model, serial number/vin, comments section provides ample room for notes, and signature lines at bottom of form. 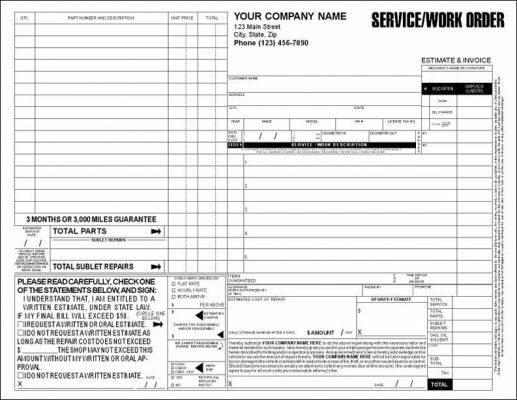 A fillable body shop form, can be used to estimate or as an invoice. Conforms with Florida statutes. Very complete and detailed form. Vehicle and truck inspection form. 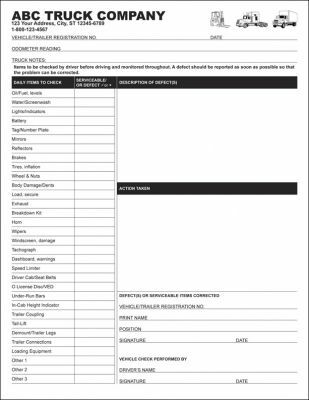 This is a vehicle inspection form which serves for many types of vehicles, trucks, tractors, trailers, fork lifts, etc. It has a daily items check list which can be modified to your particular needs, and another column to indicate if part/item is serviceable or is defective, it also has a section to record description of defects and action taken (such as repair/replace). Top of form contains space for vehicle registration (VIN) number, odometer reading, general notes and also a section for person who corrected the failed inspection item(s). 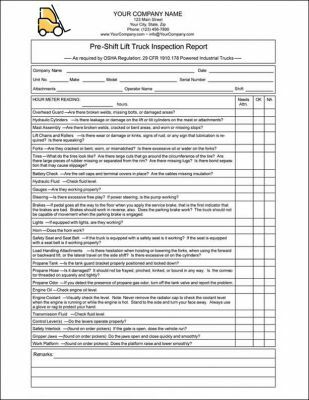 This lift truck or forklift pre-shift inspection report form is used to regulate and minimize the number of accidents, injuries and deaths due to incidents involving Powered Industrial Trucks operated by your employees. It also helps follow guidelines and be compliant with OSHA Regulation: 29CFR – 1910.178 Powered Industrial Trucks. 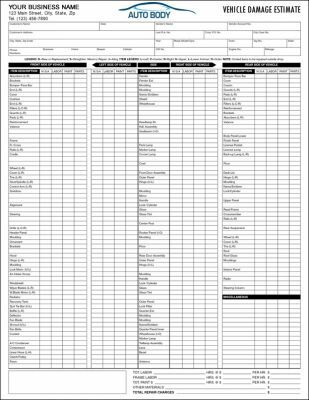 The form contains daily items check list which can be personalized to your particular needs, and boxes to indicate if truck part requires attention, it is "ok" or not applicable. Top of form contains space for vehicle make, model, serial number, odometer reading, etc. 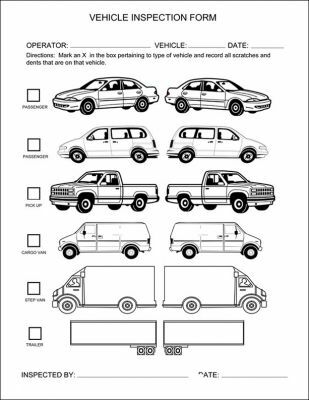 This is a vehicle dent inspection form, with image(s) of car, van/suv, pickup truck, work van, truck and trailer. Space to record operator, vehicle, date and person doing inspection with date line. A truck and and/or tractor trailer maintenance and safety inspection form. 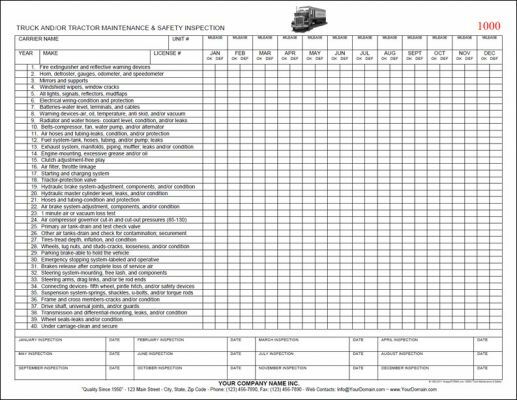 Maintain monthly record of your truck and or tractor maintenance schedule. 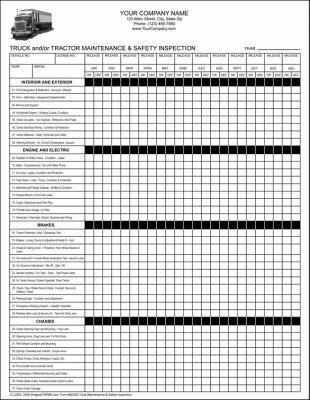 The 4 page form covers all maintenance points for most trucks and tractor trailers from turn lights, fire extinguishers, to hydraulic and air leaks and plenty space to add your own areas of inspection. Maintain monthly safety, lubrication, and repair reports throughout the year.